Summary It is not difficult to accept that are mechanisms in our society that try to suppress the truth. Whistleblowers,investigative journalists, activists are all being watched, and may become targeted for short or long periods. The closer to the truth and to exposing their knowledge to large groups of people, the more they are in danger from being silenced. We read in the news that they got a heart attack, committed suicide. The thought that they probably have been murdered is unacceptable with the way we have been programmed since we were born with democratic values and respect for the rule of law. Let alone we are able to think who may have planned and executed this. Today microchips of the size of 2 micromillimeter (hair diameter is 50 micromm) are inserted into general population without their consent e.g. in vaccinations-like the “swineflu” vaccin for their total control. Medical personel working in the field get different information of vaccine content than researchers and “insiders” who follow UN Agenda 21 for depopulation by 85% of the world population with various means. Never do medical schools teach the differential diagnose of MK and the fact that this military technology exists and has been used for over half a century in total secrecy. In military mind control is listed as a “nonlethal “weapon but in psychiatry the whole subject is tabu and considered as sign of mental illness to cover up unethical research on humans. UNIDIR, UN institute for disarmament research in Geneva has yr 2002 listed mind control as a weapon of mass destruction along side with atom bombs! Man is a mind, not a body when our body consists of 70% water and our brain 87% water so our energy holds us together. According to Einstein energy never disappears,but only changes form. – Becoming targeted and how I let this harm my life. – The unanswerable questions I realised I was asking, to which targeted people often mistakenly think that they have authoritative answers. – Why you should never say, “I know this sounds crazy, but …”. – The “victory is just around the corner” delusion. – The madness-sanity continuum – flying on instruments – living with unanswered questions. – My first publications on Indy Media. – Christians Against Mental Slavery. – The secret power of lawlessness. – John McMurtrey’s scientific work about voice-to-skull. – The civil rights rally in Houston in 2004. – The exhibition at the Labour Party conference. – My Gender Recognition Act court case. – The Alliance For Change – fighting Parliamentary Elections. – The 2005 lobbying of Congress in 2005. – The Harassment and Torture Charity. – John’s Less-Legal Weapons Conference (and Janes’ Less-Lethal Weapons Conference). – The Deborah Interviews Show. – The charity shop I opened. – The 4th and 5th European Symposiums on Non-lethal Weapons, my paper and Walter Madlinger’s, and Colonel John B Alexander. – The death of Darrim Daoud and the coroner’s inquest and my court case about it. – The loophole in the Regulation of Investigatory Powers Act and the test case presently before the UK courts. – Getting your priorities right. – The future of activism. 1The intelligence community is made up of approximately 16 entities across the executive branch. A detailed listing of all IC members is found on the United States Intelligence Community Web site at http://www.intelligence.gov/1-members.shtml. Last accessed on March 17, 2008. Amplify the technology warning methodology to illustrate the ways in which neurophysiological and cognitive/neural research conducted in selected countries may affect committee assessments. The label “cognitive” in the title and elsewhere in this report is used in a broad sense, unless specifically noted otherwise in the report itself, to refer to psychological and physiological processes underlying human information processing, emotion, motivation, social influence, and development. Hence, it includes contributions from behavioral and social science disciplines as well as contributing disciplines such as philosophy, mathematics, computer science, and linguistics. The label “neuroscience” is also used in a broad sense (unless specified otherwise) and includes the study of the central nervous system (e.g., brain) and somatic, autonomic, and neuroendocrine processes. This summary includes the committee’s key findings and recommendations, numbered to facilitate access to related text in Chapters 2-5, which also include additional findings. Cognitive neuroscience and its related technologies are advancing rapidly, but the IC has only a small number of intelligence analysts with the scientific competence needed to fully grasp the significance of the advances. Not only is the pace of progress swift and interest in research high around the world, but the advances are also spreading to new areas of research, including computational biology and distributed Human-Machine systems with potential for military and intelligence applications. Cognitive neuroscience and neurotechnology constitute a multifaceted discipline that is flourishing on many fronts. 2 In negotiation with the sponsor on the statement of task, this item was intentionally left broad in scope to allow the committee to select the areas within the field of cognitive neuroscience that it believed should be of interest to the intelligence community. The selected areas of interest are discussed in Chapters 2 through 4.
information and journalistic oversimplification related to cognitive neuroscience. Further, important research outside the United States in cognitive neuroscience is only just beginning, making it almost impossible to attempt to accurately assess the research at this point in time. Emphasizing science and technology as a priority for intelligence collection and analysis. Appointing and retaining accomplished IC professionals with advanced scientific and technical training to aid in the development of S&T collection strategies. Increasing external collaboration by the IC with the academic community. It should be noted that some components of the IC have made great strides in reaching out to the academic community. Key Recommendation (Recommendation 5-1). The intelligence community should use a more centralized indication and warning process that involves analysis, requirement generation, and reporting. Engagement with the academic community is required and is good, but it is not now systematically targeted against foreign research. assays and noninvasive high-density electroencephalography and functional brain imaging technology have progressed remarkably. Newer brain imaging technologies promising both high spatial and high temporal resolution of brain processes began to appear only in the past decade. It remains to be seen how technology will evolve and how it will aid in the detection of psychological states and lies by neurophysiological means. Key Finding (Finding 2-2). The committee recognizes the IC’s strong interest in improving its ability to detect deception. Consistent with the 2003 NRC study The Polygraph and Lie Detection, the committee uniformly agreed that, to date, insufficient, high-quality research has been conducted to provide empirical support for the use of any single neurophysiological technology, including functional neuroimaging, to detect deception. Opinions differed within the committee concerning the near-term contribution of functional neuroimaging to the development of a system to detect deception in a practical or forensic sense. Committee members who conduct neuroimaging research largely agreed that studies published to date are promising and that further research is needed on the potential for neuroimaging to provide a more accurate method to determine deception. Importantly, human institutional review board standards require, at a minimum, that individuals not be put at any greater risk than they would be in their normal everyday lives. The committee believes that certain situations would allow such testing under “normal risk” situations; although the committee strongly endorses the necessity of realistic, but ethical, research in this area, it does not specify the nature of that research in this report. Key Recommendation (Recommendation 2-1). The committee recommends further research on multimodal methodological approaches for detecting and measuring neurophysiological indicators of psychological states and intentions. This research should combine multiple measures and assessment technologies, such as imaging techniques and the recording of electrophysiological, biochemical, and pharmacological responses. Resources invested in further cognitive neuroscience research should support programs of research based on scientific principles and that avoid the inferential biases inherent in previous research in polygraphy. likely psychological effects of known drugs. Changes in models of brain function may, however, create new and surprising ideas about how, when, where, or why drugs produce their effects; about what those effects are; about which chemicals are able to alter human functioning; and about ways to enhance, minimize, or counteract drug effects. It is important to realize that the drugs that changed psychiatry in the mid-twentieth century were not generally predicted by psychological or pharmacological models of their time. Rather, the history of neuropsychopharmacology illustrates how a particular cultural, medical, or research climate may fail to anticipate new drugs, new ways of using drugs, or new drug effects. Neuropsychopharmacological research shows that drugs can be utilized to achieve or modulate abnormal, diseased, or disordered psychology and can also bring about normal, healthy, or optimal function. One new and important capability of neuropsychopharmacology is cognition enhancement. The United States and other countries are now devoting considerable research to the discovery and development of pharmacological cognition enhancers. Emergent technologies may allow new pathways for drug delivery in addition to new drugs or new uses for existing drugs. Nanotechnologies will allow delivery of drugs across the blood-brain barrier in ways not now possible. Finally, there is broad international interest in this kind of research; specifically, in Asia there is substantial research in drug delivery to the brain. Research challenges include the identification of new targets for drugs, new methods of altering cell function, new drug delivery systems, strategies to direct or control drug effects, and attempts to achieve targeted psychological effects. Key Finding (Finding 2-4). Technological advances will affect the types of neuropsychopharmacological drugs available and methods for drug delivery. For the IC, nanotechnologies that allow drugs to cross the blood-brain barrier, increase the precision of delivery, evade immune system defenses, evade metabolism, or prolong actions at cellular or downstream targets will be of particular importance. These technologies will increase the likelihood that various peptides, or other brain proteins, could ultimately be utilized as drugs. Development of antidotes or protective agents against various classes of drugs that could be used by an enemy force will also be important. functional magnetic resonance imaging, near-infrared spectroscopic imaging, and functional transcranial Doppler sonography can measure localized changes in cerebral blood flow related to neural activity. Positron emission tomography and magnetic resonance spectroscopy can measure regional modulation of brain metabolism and neurochemistry in response to neural activity or processes. These functional neuroimaging modalities are complementary and offer different windows into complex neural processes. Accordingly, simultaneous multimodal imaging is an emerging area of great interest for research, clinical, commercial, and defense applications. Functional neuroimaging technologies are commonplace in research and clinical environments and are affecting defense policy. Their continued development and refinement are likely to lead to applications that go well beyond those envisioned by current cognitive neuroscience research and clinical medicine. Some very advanced work will occur outside the United States because some new technologies are first being deployed abroad. Advanced types of functional neuroimaging technology are likely to be deployed in areas such as business, human performance, risk assessment, legal applications, intelligence, and the military. Real-time, continuous readouts of neuroimaging results will become increasingly important for the IC and the Department of Defense (DOD), which will evaluate them for temporal sequences that indicate psychological or behavioral states. While predictions about future applications of technology are always speculative, emergent neurotechnology may well help to provide insight into intelligence from captured military combatants, enhance training techniques, enhance cognition and memory of enemy soldiers and intelligence operatives, screen terrorism suspects at checkpoints or ports of entry, and improve the effectiveness of human-machine interfaces in such applications as remotely piloted vehicles and prosthetics. Key Finding (Finding 2-5). Functional neuroimaging is progressing rapidly and is likely to produce important findings over the next two decades. For the intelligence community and the Department of Defense, two areas in which such progress could be of great interest are enhancing cognition and facilitating training. Additional research is still needed on states of emotion; motivation; psychopathology; language; imaging processing for measuring workload performance; and the differences between Western and non-Western cultures. as to eventually understand the biology of the nervous system and of cognition. In modeling, computing is used to express a hypothesis in concrete mathematical terms. The model is then simulated in an attempt to validate the hypothesis and/or make a prediction. Mathematical models of various dynamical qualities can be constructed and used to make predictions. Mathematical models have been used, for example, to correlate sleep and performance by measuring both and using the relationship to make a prediction. The distinction between modeling and analysis is not always clear because many types of data analysis make basic assumptions about the data fitting a specific model. The larger issue is whether a cognitive system can be constructed in the next two decades that, while not precisely mimicking a human brain, could perform some similar tasks, especially in a particular environment. Success would be determined not by how closely the system resembled the brain in its mechanisms of action, but by the degree to which the system performed specific cognitive tasks the same way as a typical human operator. This search for what is known as artificial intelligence has for many decades been a goal of computing efforts. Perhaps most revolutionary would be an intelligent machine that uses the Internet to train itself. Currently, the Internet is by far the closest we have come to a total database of knowledge. One can imagine an intelligent system that continuously monitors and processes not only accumulated knowledge but also public and nonpublic information on current events. Modern search engines do that in a way but serve more to catalog knowledge than to come to intelligent conclusions. However, if a system that reasoned like a human being could be achieved, there would be no limit to augmenting its capabilities. Many efforts, large and small, to reach this goal have not yet succeeded. Key Finding (Finding 3-6). As high-performance computing becomes less expensive and more available, a country could become a world leader in cognitive neuroscience through sustained investment in the nurture of local talent and the construction of required infrastructure. Key to allowing breakthroughs will be the development of software-based models and algorithms, areas in which much of the world is now on par with or ahead of the United States. Given the proliferation of highly skilled software researchers around the world and the relatively low cost of establishing and sustaining the necessary organizational infrastructure in many other countries, the United States cannot expect to easily maintain its technical superiority. Key Recommendation (Recommendation 3-1). The intelligence community, in collaboration with outside experts, should develop the capability to monitor international progress and investments in computational neuroscience. Particular attention should be given to countries where software research and development are relatively inexpensive and where there exists a sizeable workforce with the appropriate education and skills. Brain-machine interfaces. This category includes direct brain-machine interfaces for control of hardware and software systems. Traditional human interface technologies, such as visualization (Thomas and Cook, 2005), are not considered in this report. Robotic prostheses and orthotics. Included here are replacement body parts (robotic prostheses) and mechanical enhancement devices (robotic orthotics) designed to improve or extend human performance in the physical domain. Cognitive and sensory prostheses. These technologies are designed to improve or extend human performance in the cognitive domain through sensory substitution and enhancement capabilities or by continually sensing operator state and providing transparent augmentation of operator capabilities. Software and robotic assistants. These technologies also are designed to improve or extend human performance in the physical and/or cognitive domains. However, unlike the first three areas, they achieve their effect by interacting with the operator(s) rather than as assistants or team members in the manner of a direct prosthetic or orthotic extension of the human body, brain, or senses. Agent-based technologies for social and psychological simulations are not considered in this report. Research in artificial cognitive systems and distributed human-machine systems has been hampered by unrealistic programs driven by specific, short-term DOD and intelligence objectives. Another problem is the inadequacy of current approaches to research metrics. Resolving this problem would enable meaningful progress. Finally, the study of ethical issues related to the design and deployment of distributed human-machine systems is virtually in its infancy and this is deplorable given the great potential of such systems for doing good or harm. through some mix of engineering and studies of human intelligence, or by combining the respective strengths of humans and automation working in concert. Researchers are addressing the limitations that made earlier systems brittle by exploring ways to combine human and machine capabilities to solve problems and by modeling coordination and teamwork as an essential aspect of system design. Basic and applied social science research into various aspects of culture can help the IC to understand the current status of cognitive neuroscience research and anticipate the directions it might take over the next 20 years.3 Using social and cultural modeling and frameworks to predict behavior and intentions in an intelligence and military context will require learning how cultural groups are organized. The IC’s understanding of culture will be enhanced if it takes a pluralist and globalist view of how cultural groups are organized, and how research is conducted and applied in the field of culture studies. For example, research into intercultural management and leadership can warn IC and national security analysts not to assume that Western theories can be universally applied in multicultural situations. Concepts found in cultural research serve as intervening variables in neuroscience research, providing an understanding of how culture impacts human cognition and affect with respect to brain functioning, meaning, and behavior in diverse social and political situations. Culturally accurate intelligence and strategic analysis have long been of interest to IC and national security analysts. Conventional social science models based primarily on Western ideas may be compromised by invisible biases. The need is growing to understand hearts and minds at a strategic level because of their potential to exacerbate insurgencies and other problems. Deficiencies in cultural knowledge at the operational level can also adversely affect public opinion. Likewise, ignorance of a culture at the tactical level could endanger both civilians and troops. Advances in inferring cross-cultural intention and meaning are possible with a comparative cultural research agenda. Cross-cultural comparative research can be pursued to test whether the brain function and human behavior assumed by European and U.S. psychological models are universal. 3 For purposes of this report, “culture” is defined as a collective identity whose shared membership has distinct values, attitudes, and beliefs. Behavioral norms, practices, and rituals distinguish one cultural group from another. Distinct cultural groups are defined around regional, political, economic, ethnic, social, generational, or religious values. cognition, including brain functioning, and is even suggesting a link between culture and brain development. The U.S. military is placing greater emphasis on cultural-awareness training and education as a critical element in its strategy for engaging in current and future conflicts. Military conflicts will increasingly involve prolonged interaction with civilian populations in which cultural awareness will be a matter of life and death and a major factor in outcomes. Similarly, political leaders, diplomats, intelligence officers, corporate executives, and academicians will need a deeper, more sophisticated understanding of foreign cultures to communicate more effectively with their counterparts in non-Western societies in the era of globalization. Key Recommendation (Recommendation 4-1). The growing U.S. government interest in cultural training and education is well placed, and its investment in related research and development and in practical training should be substantially increased. Training programs, to be most effective, should be developed and implemented on a multidisciplinary basis. Investment should be made particularly in neuroscience research on the effects of culture on human cognition, with special attention to the relationship between culture and brain development. 4 Trials of War Criminals before the Nuremberg Military Tribunals under Control Council Law No. 10, Vol. 2, pp. 181-182. Washington, D.C.: U.S. Government Printing Office, 1949.
are very detailed, practical, and sensitive to cultural differences between nations, they do not have the same prominence as the DoH. Other documents, both national and international, offer more specific guidance on separate aspects of biomedical research (e.g., clinical trials, drug development). The various guidelines reflect a consensus on some core beliefs, including that the research must be reviewed from an ethics standpoint before it is conducted; that the research must be justifiable and contribute to the well-being of society in general; that the risk-benefit ratios must be reasonable; that informed consent or voluntariness is needed; that there is a right to privacy; that accurate reporting of data is obligatory; and that inappropriate behaviors must be reported. Individual nations may have their own, additional, ethical rules and regulations. The committee researched the existence and scope of such documents for two nations, Iran and China, and looked for evidence of research there into cognitive neuroscience and biotechnology, specifically for military uses. In Iran, detailed codes on medical ethics and biomedical research have been officially ratified, and international documents have also been formally endorsed. China states that it complies with the international instruments guiding research ethics. While there has been considerable talk in China about improved and more comprehensive guidelines for biomedical research with human subjects, no new documents have been ratified recently by the government. Technology warning in the IC today is hampered by several factors, including the low priority it has among senior leaders; the paucity of resources invested by the community in internal science and technology capability; the continuing inadequate attention of management to the needs of IC analysts; and the need to establish close ongoing collaborations with analysts in other agencies, the scientific community at large, the corporate world, and academia, where the IC can find the most advanced understanding of scientific trends and their implications. Although there are a handful of excellent joint research programs between the very best of U.S. universities and medical schools and foreign laboratories, programs that contain cognitive neuroscience research components or research programs are largely based on U.S. research and approaches. Relationships with foreign entities exist primarily to make use of low-cost infrastructure outside the United States, not to gain access to non-U.S. approaches and applications. These observations are not intended to impugn the IC’s current programs for cognitive research; however, identifying foreign technology surprise in scientific areas that are not represented in U.S. research is, and will continue to be, extremely difficult. research that will lead to new technologies and drugs, particularly in areas of cognition and performance, that will include off-label uses. Off-label drug use can alert intelligence analysts to compounds, methods of administration, or risk factors that may be unknown in civilian or military medicine and can help identify profiles of unanticipated effects. Key Finding (Finding 5-4). Rapid advances in cognitive neuroscience, as in science and technology in general, represent a major challenge to the IC. The IC does not have the internal capability to warn against scientific developments that could lead to major—even catastrophic—intelligence failures in the years ahead. An effective warning model must depend on continuous input from strong internal science and technology programs, strong interactive networks with outside scientific experts, and government decision makers who engage in the process and take it seriously as a driver of resources. All that remains a work in progress for the IC. Council for International Organizations of Medical Sciences. 2002. International Ethical Guidelines for Biomedical Research Involving Human Subjects. Geneva, Switzerland, November 2002. Available from http://www.cioms.ch/guidelines_nov_2002_blurb.htm. Last accessed June 8, 2008. National Research Council (NRC). 2003. The Polygraph and Lie Detection. Washington, DC: The National Academies Press. Available from http://www.nap.edu/catalog.php?record_id=10420. NRC. 2005. Avoiding Surprise in an Era of Global Technology Advances. Washington, DC: The National Academies Press. Available from http://www.nap.edu/catalog.php?record_id=11286. Thomas, J.J., and K.A. Cook. 2005. Illuminating the path: The research and development agenda for visual analytics. Richland, WA: National Visualization and Analytics Center. Available from http://nvac.pnl.gov/agenda.stm#book. Last accessed January 10, 2008. United Nations. 1948. Universal Declaration of Human Rights. Adopted and proclaimed by General Assembly Resolution 217 A (III) of 10 December 1948. Palais de Chaillot, Paris, December 1948. Available from http://www.un.org/Overview/rights.html. World Medical Association. 1964. Declaration of Helsinki: Ethical Principles for Medical Research Involving Human Subjects. Adopted by the 18th World Medical Association General Assembly. Helsinki, Finland, June 1964. Available from http://www.wma.net/e/policy/b3.htm. We traveled to Rio de Janeiro to meet the man who broke the biggest news story of 2013. Glenn Greenwald is an American journalist and author who’s best known for reporting on the leaks of classified National Security Agency documents by former NSA contractor Edward Snowden. Before he was a journalist, Greenwald was a constitutional law and civil rights litigator, and until 2012 he was a contributing writer at Salon. He has authored four books: How Would a Patriot Act, Tragic Legacy, Great American Hypocrites, and With Liberty and Justice for Some. For 14 months Greenwald was a columnist at the Guardian, where he broke the first NSA story in June of 2013. He has since left the newspaper to team up with filmmaker Laura Poitras and journalist Jeremy Scahill to start a new media venture, First Look Media, backed by eBay founder Pierre Omidyar. On December 25th 2013 Edward Snowden delivered an alternative Christmas message on the UK’s channel 4 TV station. Before the broadcast a short version of the speech was leaked and immediatly uploaded to youtube. That upload was immediatly blocked but many re-uploads made the clip available everywhere. This is one of those places. If you want to thank Edward Snowden for giving up his relationship, familiy, job and any chance of a normal life to inform us all go here (freesnowden.is/donate/index.html) and donate. Or spread his message. And do something with it. Because if something is done all of Edward’s sacrifices have meaning. 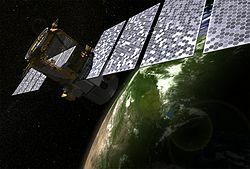 Calipso är en satellit vars uppgift är att observera jorden. Satellitens dator är konstruerad av Saab Ericsson Space. en laserradar som observerar aerosoler. en kamera som ger infraröda bilder. en kamera som tar vidvinkelbilder.